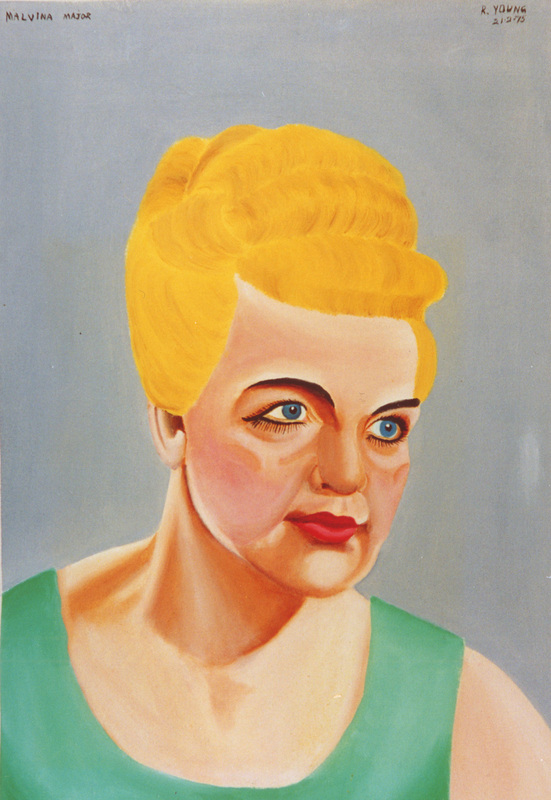 Richard Young ‘Malvina Major’ 21 Feb 1975, oil on canvas, 2015/8/1. Collection of the Sarjeant Gallery Te Whare o Rehua Whanganui. 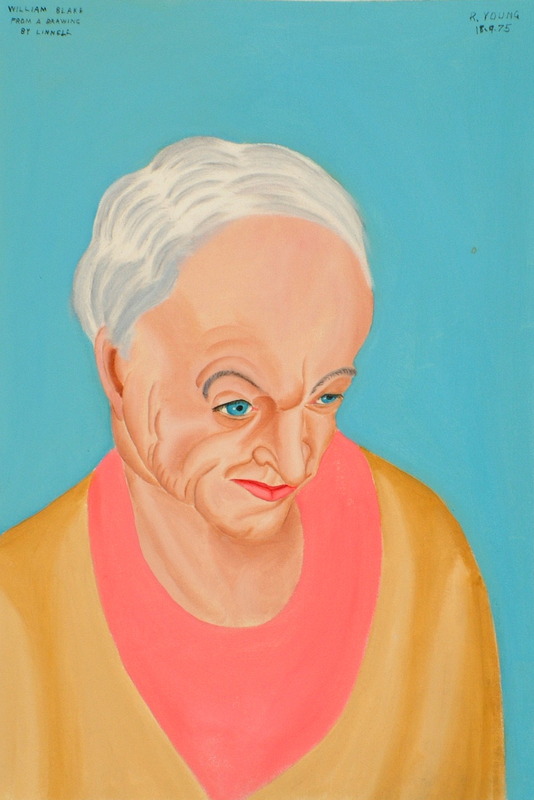 Shy and retiring Foxton artist, Richard Young’s naïve style portrait works were unknown to the art world until Bill Milbank delivered them to the Sarjeant Gallery in a suitcase 25 years ago. Paul Rayner showed six of the 90 paintings in an exhibition “The Outsiders” he curated in 1999, but subsequently they slipped out of sight. The paintings re-surfaced during the transition of artworks from the Sarjeant Gallery Te Whare o Rehua at Queens Park to 38 Taupo Quay and four portraits – James K. Baxter, Edith Sitwell, Mr Young’s wife, Catherine and one of the artist aged 85, are on show in the current exhibition REVEALED – Collection discoveries from our recent move. The road from Foxton to the Sarjeant’s collection was, however, far from straightforward. Following the artist’s death in 1979 his solicitor wrote to Mr Milbank, then Director of the Sarjeant, asking if he knew of a Jeffrey Gallery in Whanganui to which the artist had bequeathed his paintings. When research by Mr Milbank drew a blank the solicitor concluded that his client had probably meant the Sarjeant, although there was no record of Mr Young’s connection with the Gallery. The matter went into abeyance until 1987 when Mr Milbank received an urgent request to collect the paintings as the solicitor was retiring. The body of Mr Young’s naïve style work depicts world leaders, writers, scientists, entertainers, composers and great thinkers as well as the artist and his wife. During a prolific period of painting 1972-1978 Mr Young painted likenesses of Eleanor Roosevelt, Jacob Bernstein, Dames Malvina Major and Kiri Te Kanawa, Vanessa Redgrave, William Blake, Jean Cocteau, Indira Gandhi, Barbara Streisand, H. G. Wells, Rudyard Kipling, Joan Miro, Ezra Pound among others.